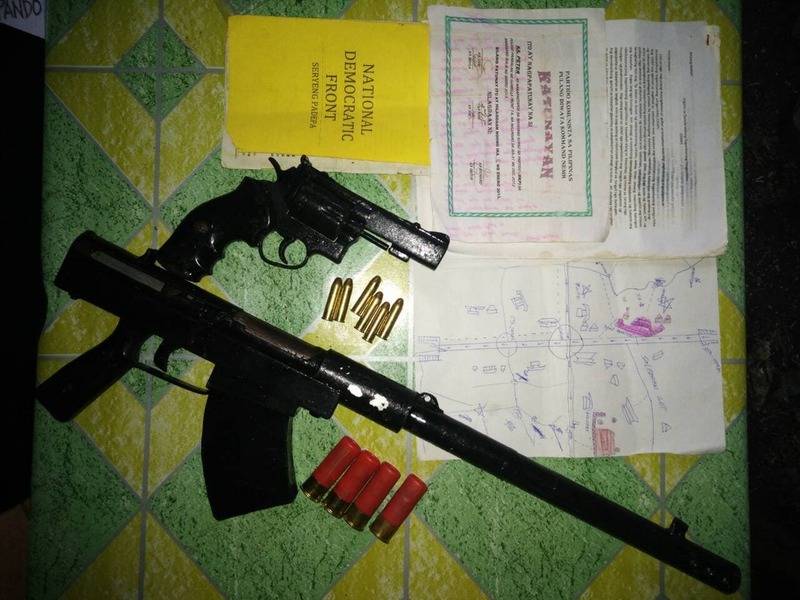 TAGO, Surigao del Sur, April 12 (PIA) – A Communist Party of the Philippines (CPP)-New People’s Army (NPA) Terrorist (CNT) leader identified as Jomar Martinez Mapando voluntarily surrendered to 36th Infantry “Valor” Battalion Headquarters based in Barangay Dayoan, Tago around 5:00 PM, April 6, 2019, 36IB Civil Military Operations (CMO) officer said. Lt. Jonald Romorosa, CMO officer of 36IB, said that Mapando also known as “Peter” is a resident of Sitio San Isidro, Barangay Anilong, Rosario, Agusan del Sur. He brought with him a homemade shotgun, and a .357 pistol with ammunition and other documents with high intelligence value. Based on the report, Mapando joined the terrorist organization when he was 17 years old out of his curiosity, aggressiveness, and adventurism. Mapando further said that he joined the NPA because of promises for monetary support and alleviation from poverty. But when he reached 25 years old, Mapando has decided to surrender because the promise he longed for never happened. According to Romorosa, Mapando is currently under the custody of the 36IB while he is undergoing the process of enrolling the Enhanced-Comprehensive Local Integration Program (E-CLIP), the government intervention package intended for former rebels who decided to return to the government folds. AGUSAN DEL SUR, Abril 12 (PIA) - Tututukan ng Department of Health – Center for Health Development (DOH-CHD) Caraga kasama ng ibat-ibang ahensiya ng pamahalaan ang pagbibigay ng tulong sa mga drug dependents sa oras na matapos na sa kanilang pagpapagaling sa loob ng Drug Treatment at Rehabilitation Center. 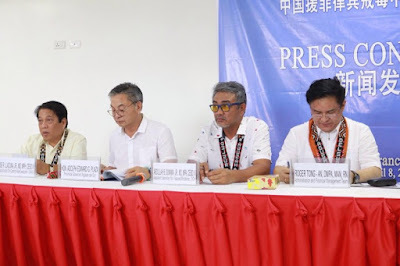 Ito ang sinigurado ni DOH-CHD Caraga regional director Dr. Jose Llacuna Jr., kasabay sa isinagawang turn-over ceremony ng nasabing rehab center sa Barangay Alegria, San Francisco, Agusan del Sur. Ayon sa opisyal, patuloy din ang koordinasyon ng DOH at lokal na pamahalaan ng Agusan del Sur, kasama ng TESDA sa pagpapatupad ng mga naaayon at nararapat na programang ibibigay para sa drug dependents. Tulad na lamang ng pagbibigay ng libreng trainings para mahasa ang kani-kanilang at makapagtrabaho at magkaroon ng pangkabuhayan. Tutulungan din ng lokal na pamahalaan at mga kinauukulang ahensiya ang mga gustong bumalik sa pag-aaral. Suportado naman eto ni Usec. Roger Tong-an ng administration and finance management ng DOH. “Patuloy din an gating koordinasyon sa lokal na pamahalaan, Technical Education and Skills Development Authority (TESDA) at Commission on Higher Education (CHED) sa pagbigay tulong sa mga drug surenderers sakaling gusto nilang kumuha ng vocational o college courses paglabas nila sa rehab center,” sabi ni Tong-an.